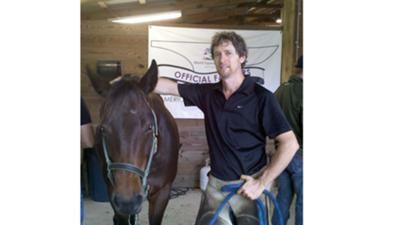 Rick Russo’s Art of Horseshoeing serves equestrians who seek exceptional quality Hoof Care for their Horses. Continuing education allows me to fuse traditional Blacksmithing with the latest advancements in Hoof Care. I work within the Sporting and Performance Equestrian Disciplines as well as Pleasure Horses. Extensive experience in therapeutic work gives me the edge in keeping your horses sound and in peak performance condition. My Rick Russo Farrier Practice is based in San Diego County. My routes include Rancho Santa Fe, Poway, Rancho Penasquitos, Escondido, Rancho Bernardo, San Marcos, Del Mar, Bonsall, Valley Center, Encinitas, Lakeside, Ramona, and El Cajon. If you are located outside this area, please don’t hesitate to call to see if arrangements can be made. I am passionate about helping your Horse! Please also visit my website at www.rrshoeing.com.